One of our old favorites is back! Light as a feather, these feature a t-strap with black crystal accents and adjustable buckle strap. Complete with a wrapped wedge, these sandals are a great addition to any wardrobe collection. 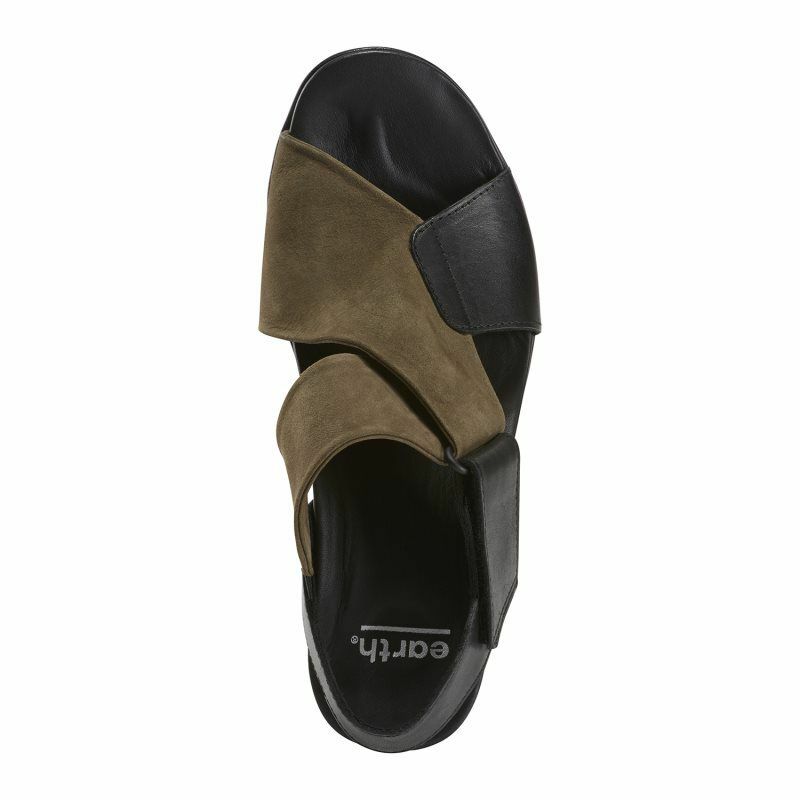 One of our most comfortable sandals for Spring, these feature a goes-with-everything black leather and olive green nubuck combination upper and a black leather wrapped midsole. 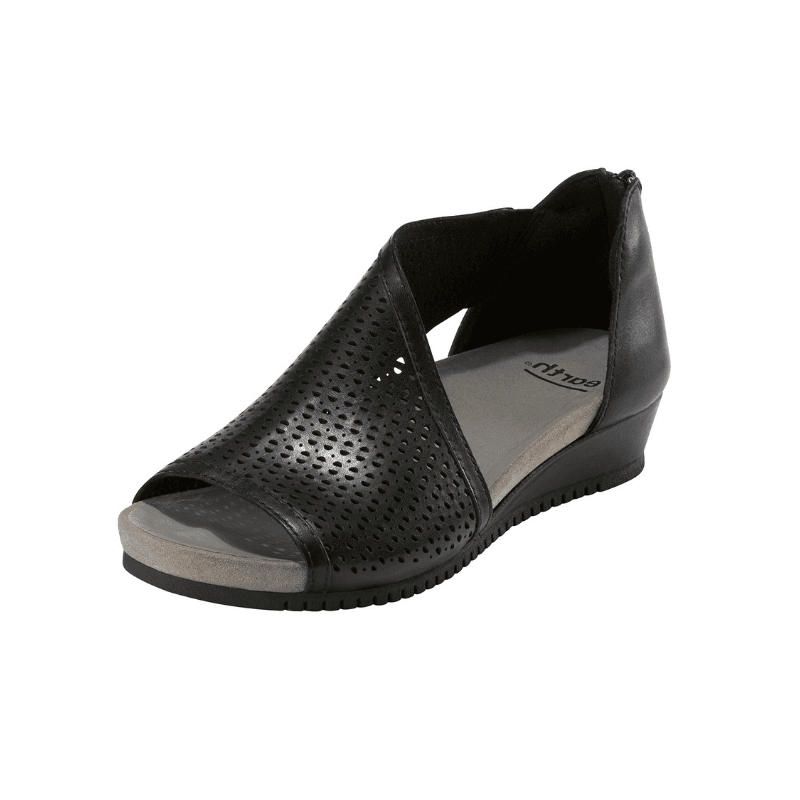 A contoured footbed provides support and cushioning. Grab yours before they're gone! Who doesn't like to be cute and comfortable? 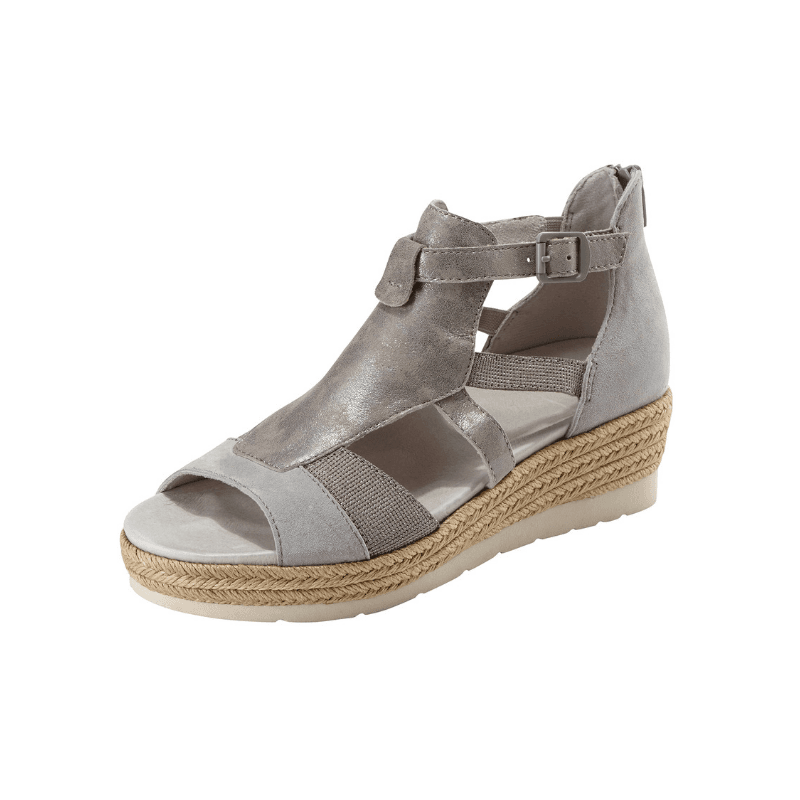 These low wedge sandals feature a combination suede and metallic leather upper with a velcro ankle strap. A cushioned and supportive footbed provides all the comfort to keep you going from sun up to sun down.